John Gabbert has a unique view of the private equity industry. 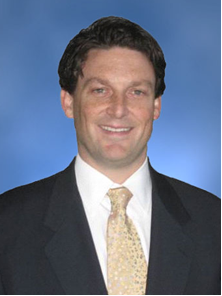 As CEO of Pitchbook, he has access to the most intuitive and complete data source for transactions and investors throughout the multi-trillion dollar private equity industry. We interviewed John from his offices on the Seattle waterfront. You’ll enjoy the unique environment in which John and his team work, right next to the docks where the tourist boats depart for Puget Sound. No wonder Seattle has so many entrepreneurs; in a place like that its hard to define what they do as “work”. Overall the interview provides a pretty optimistic view for the M&A market. 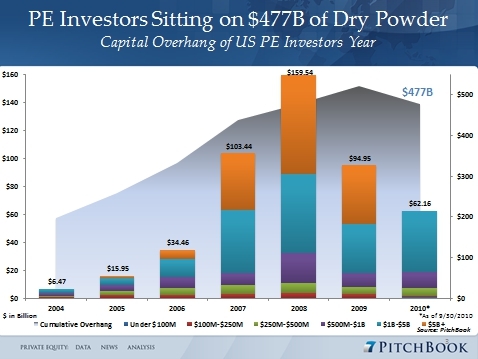 The private equity overhang (capital available for investment) remains quite large at approximately $490 billion. John reports signs of increasing deal activity as the PEGs put some of this money to work. Most interesting are his insights on the impact of the deal slowdown on PE portfolios. 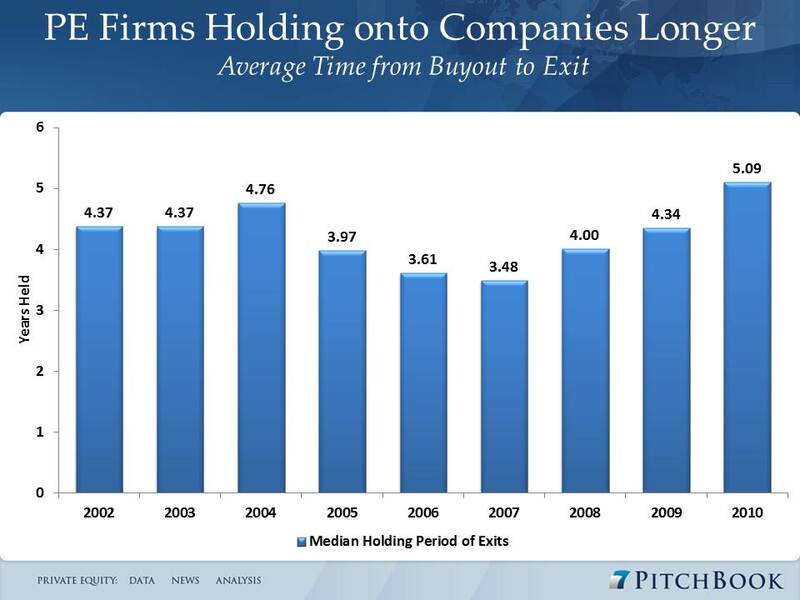 Per the slide to the left average PE hold periods have lengthened substantially from around three and a half years in 2007 to over five years today. These extended holding periods will likely have a negative impact on compound return rates for some firms. 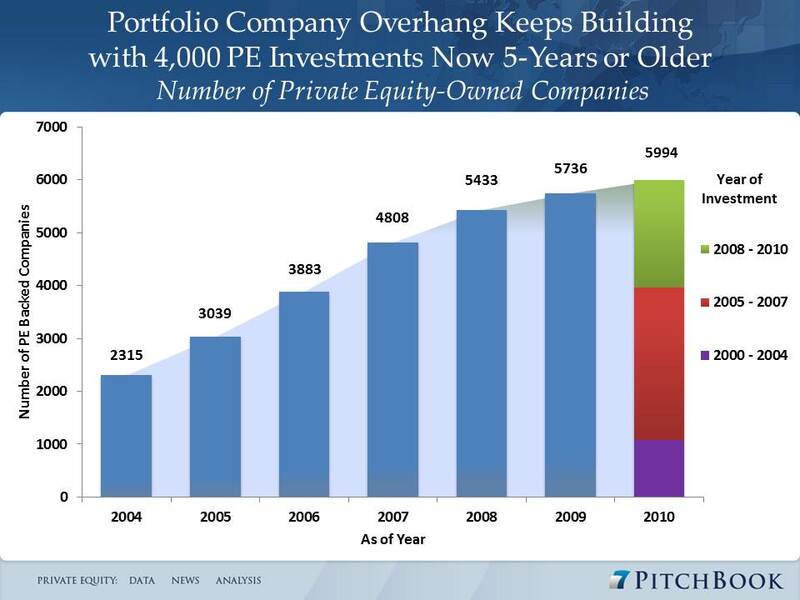 Equally important they have created a very significant activity overhang for PE firms, which must begin to increase their rate of portfolio exits as funds begin to reach their targeted lives, often seven years or so. To download the slide deck (9 megs) click here. For the full interview (23 minutes), click on John’s picture below.